The craze for matte lip products only seems to be getting stronger with Lakme launching a matte lip & cheek cream late last year. I’ve been hearing so many people rave about this range that I just had to give it a try. I’ve also been using the new Lakme eyeshadow palettes which I will be reviewing soon. 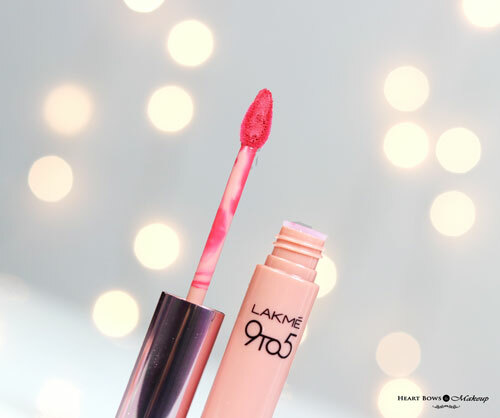 Read on to know if I think the hype around the new Lakme 9 to 5 Matte Mousse Lip & Cheek Creams is worth it or not. 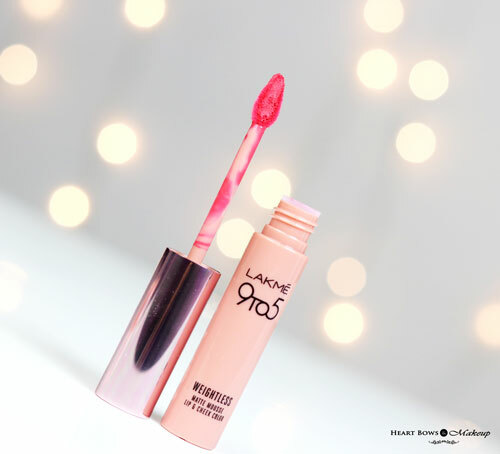 The Lakme 9 to 5 Lip & Cheek Cream is packaged in an opaque rose-peach tube with a rose gold top. Since the tube is opaque, the color identification can be difficult though it does mention the name of the shade on the bottom. I wish they had color coded tubes like the NYX Soft Matte Lipcreams. It comes with a petal shaped sponge applicator which makes application very easy. I use the tip part to outline my lips and then fill it with the flat side. 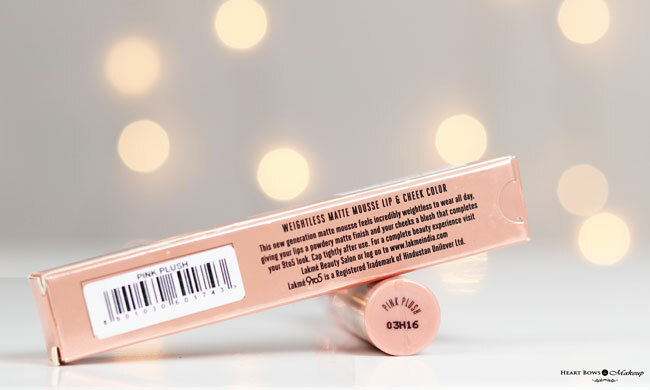 I’ve used many matte lip creams or lipsticks by Indian brands over the past couple of year and none of them ever became my favorite due to the drying or too creamy texture. I’ve always raved about NYX Soft Matte Lip Creams as I have dry lips and nothing feels more comfortable than those. However, I’ve finally found an Indian variant that I can swear by. 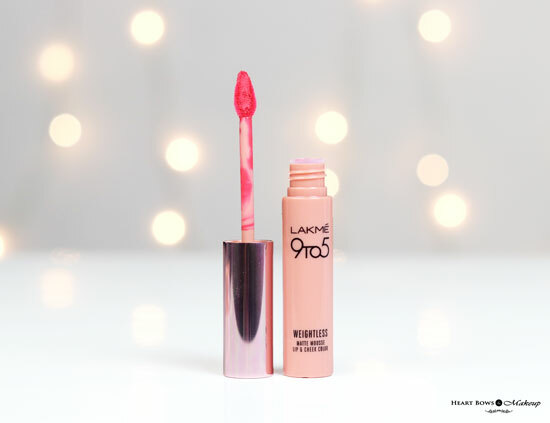 The Lakme 9 to 5 Weight Matte Mousse Cream has a soft and velvet-y formula which is very similar to the NYX lip creams. If I had a blind test then I probably wouldn’t be able to tell them apart. The texture is weightless and does not feel drying. The Lakme Lip & Cheek Cream settles into a soft matte finish which is comfortable even for dry lips. If you have severely chapped lips then I would recommend prior exfoliation as it can settle into fine lines. As a cheek cream, despite being matte, it blends very well. Like I’ve mentioned before, I’m not a fan of multi purpose products however this surprisingly works well though using the same applicator on the fingers and lips does feel a bit icky. The Lakme 9 to 5 Matte Mousse Lip & Cheek Creams have gotten really popular due to flattering variety of shades. They have some beautiful neutrals in the range which perfectly compliment the Indian skintone. Besides, the nudes and neutrals it also has a burgundy shade and some pinks. I have Pink Plush which is a bright coral pink perfect for summers. I wore this a lot on my vacation to Pondicherry recently and my girlfriends loved it too. It’s a color that suits all complexions; light, medium and dusky. One of the brightest shades in the range, the color instantly perks up a dull face. The Lakme Weightless Mousse Lip & Cheek Creams are well pigmented. You get an opaque coverage in just a coat or 2. 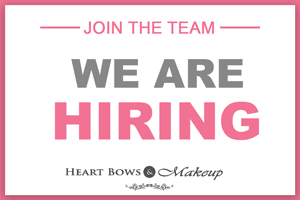 The pigment is not too strong while blending on the cheeks so you will not end up looking like a clown. As for the wear time, I get a staying power of 4-5 hours depending on how much I eat or drink. 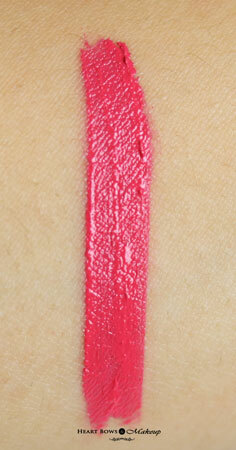 It has the tendency to transfer though it leaves a nice pink lip stain which fades evenly. The price tag of Rs 575 might feel a bit steep but this is one product from Lakme that I can hardly fault. I’ve been waiting for an Indian brand to come out with a matte product which is not too drying and the beautiful shades are just the cherry on top. 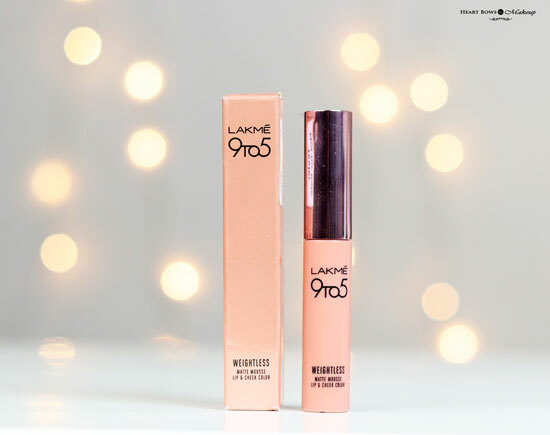 HBM Recommendation: The Lakme 9 to 5 Weightless Mousse Lip & Cheek Cream is one of the best matte lip products for dry lips The fact that it can also be used as a blush makes it even better. With a soft matte finish, comfortable texture, decent staying power and good pigmentation, I cannot recommend them enough. And yes, they are very very similar to the NYX Soft Matte Lip Creams so it is no wonder that I love it so much.